The Adventure of Non-Penetration Wreck Diving. Potential Risks & Hazards Associated with Wreck Diving. Equipment for Sport Wreck Diving. Pre-Dive Preparation for Wreck Diving. 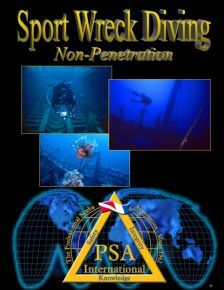 Wreck Diving Procedures and Operations. Underwater Communications for Options Wreck Diving. Wreck Diving Conservation and the Law.